Dr. Fuhrman's Artichoke Lentil Loaf was this year's turkey substitute for those "enlightened" individuals at our Thanksgiving table. Considering all of the other delicious dishes that were present at the meal, this loaf may have been a little out of place. It wants to be the star of the show but it had to compete with too many other things. Next year I will go with something simpler. But that doesn't mean that I am regretting making the Artichoke Lentil Loaf. We have been enjoying the leftovers tremendously all weekend. I might be particularly weird, but I am especially enjoying it with cranberry sauce on the side. On another note, did you hear what happened to all of Dr. Greger's NutritionFacts.org videos that are hosted on YouTube? The account was flagged as having inappropriate content and YouTube took all seven hundred and something videos down. Uuuugh. 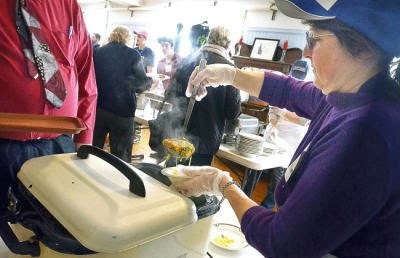 Get the full story here and find out what you can do to help. I was so moved that I made a donation. 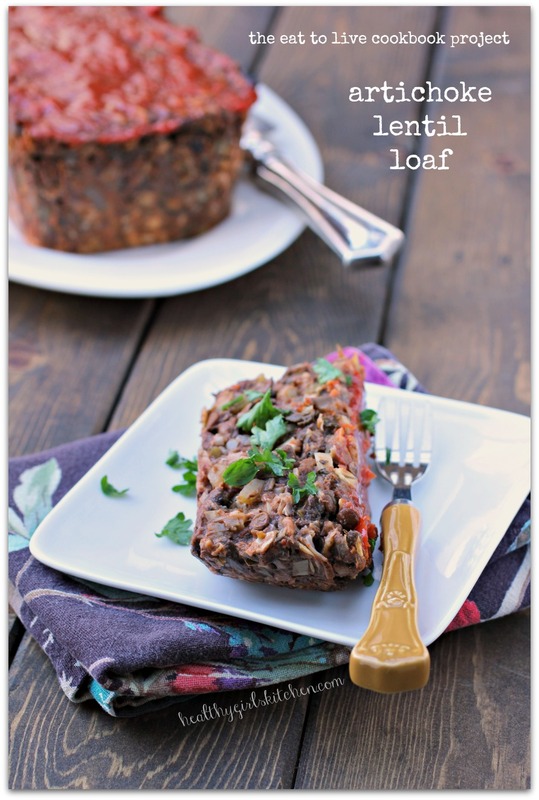 Related Post "The Eat to Live Cookbook: Artichoke Lentil Loaf"
To Blog or Not to Blog, That is the Question. And an Incredible Salad.